When Doug, a patient, spoke to me about developing a stereoscope for use with an iPad, the Van Orden Star was the first exercise I wanted to add to the Opto project. 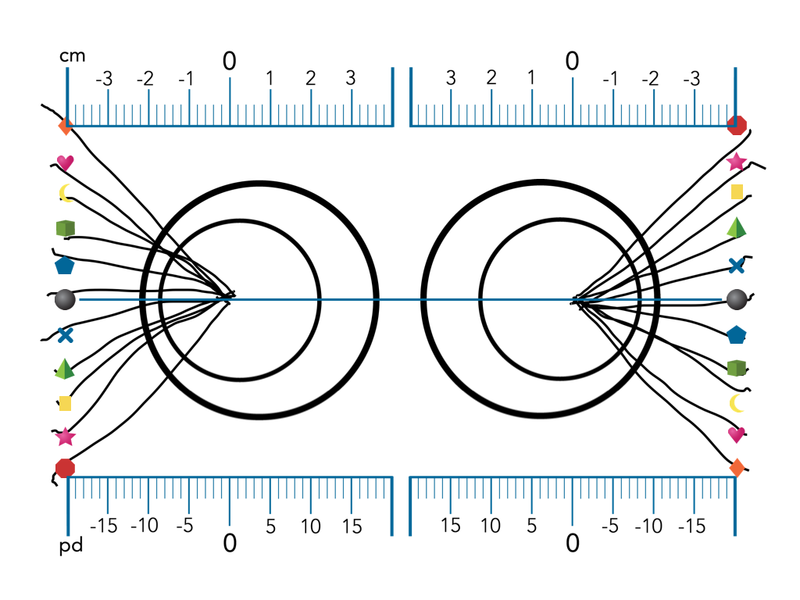 I have used this exercise to evaluate everything from low plus lens prescriptions, eye alignment, and areas of suppression in my vision therapy clinic. We wanted to keep Millard E. Van Orden’s stereoscopically drawn visual pattern as functionally similar as possible for visual behavior testing and training. 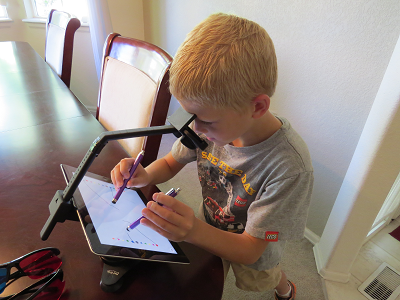 Of course, the “paper” is now an iPad and the “pencils” are now styli. No, you won’t feel the same friction when drawing as with paper, but visually, we still get an insight into how the patient perceives visual space, phoria positions and asymmetry of the drawings. Figure 1. Completed VO Star Drawing on the Opto App by g-Labs. The iPad screen presents a white field with two peripherally visible columns of targets. This looks similar to the back-lighted translucent stages currently in use. We have two columns of eleven equally spaced targets separated by 148 mm. (Note that 148 mm is the traditional pattern, but some paper patterns are 140 mm separation for distance testing and 95 mm for near testing). Instead of dots, we have colorful shapes, which cue the patient to match the figures. Because the image is fixed, I no longer have to worry about a piece of paper slipping or moving in the clamps during the activity. The image is always centered in the patients view. Figure 2. 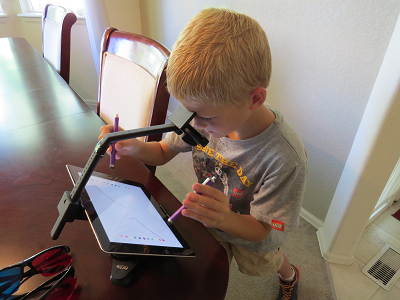 Child, age 7, completing VO Star drawing for home practice on Opto App by g-Labs. The order of connecting the dots varies from clinic to clinic (do you alternate top and bottom, start in the middle or sequence from the top or center?). 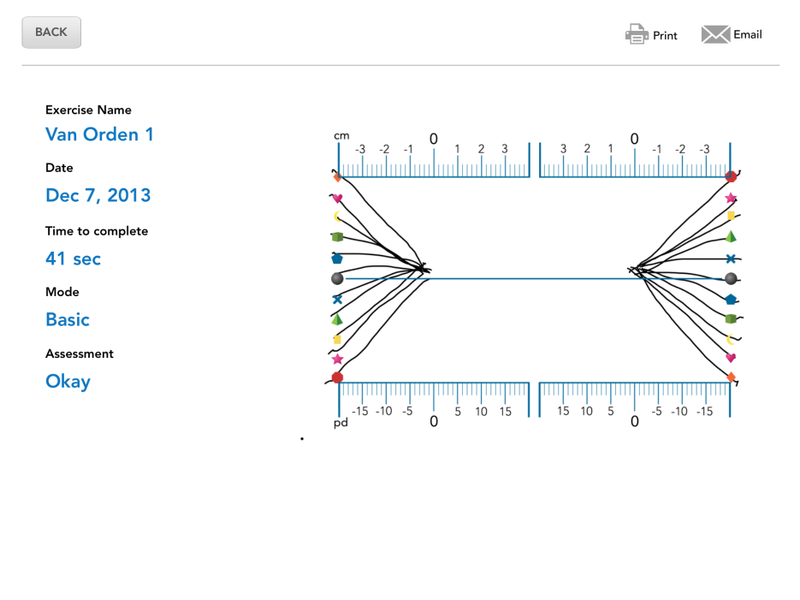 The Opto app lets you instruct the patient on the sequence you prefer. Figure 3. 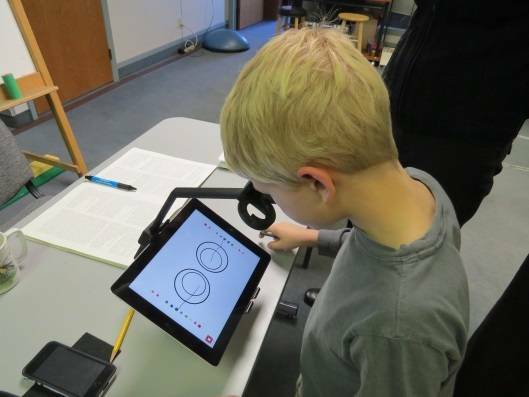 Child, age 7, completing VO Star drawing for clinic practice on the Opto App by g-Labs. The scope easily slides into the zero accommodation position. This creates the patient’s visual focus and attention to be at far distance while the tactile drawing demand is at 20 centimeters. Because of the features of the stand, the exercise can be completed while sitting or standing. Figure 4. 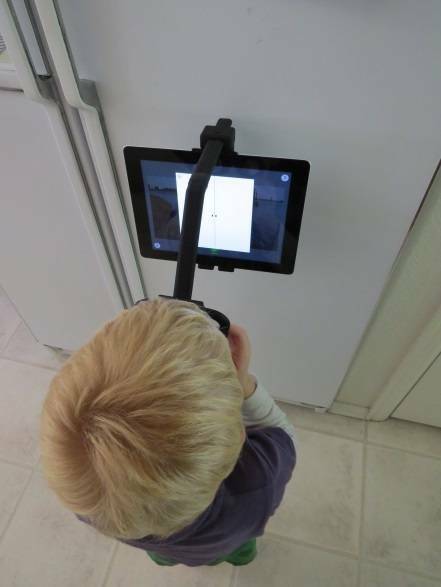 Child, age 3, completing vision training on the Opto App by g-Labs while standing. The Van Orden guide lines – the horizontal B line and the two vertical A lines — demonstrate where the center of visual axis for each eye. We set the scale to the optical centers of our scope, so 35 mm inward from the columns of targets (typically 37-40 mm on other scopes). When I researched the standard guideline position, I found it varied greatly on paper forms – some research studies have determined even 65 mm apex separation may be ideal. 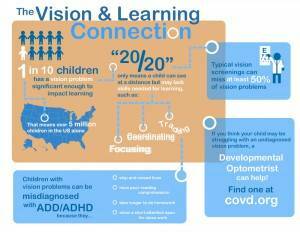 Our solution was to have the vision expert analyze the drawings, not the app. 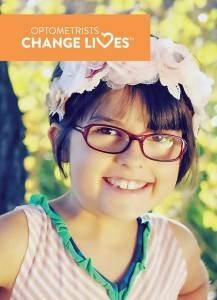 We added the millimeter and prism diopter scales to the image overlay when the results are viewed. To see this, just go to the exercise records button and view, print, or e-mail the patient’s actual image. This digital version makes it much easier to add the exercise to electronic health records. Figure 5. 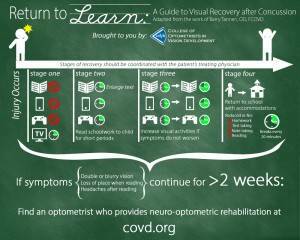 VO Star exercise report on the Opto App by g-Labs. In very general terms, the drawings indicate if the apexes are vertically imbalanced, further outward (exo), further inward (eso), or missing an apex on one side due to difficulties with sensory and/or motor fusion. When the pattern does not form an apex, it documents a difficulty with stable and consistent fixation. Curved lines that project to different points can also show this shift. The VO Star pattern demonstrates peripheral-central function, projection of personal space, and coordination between visual and kinesthetic function. The use of a fusion target, base-in circles and base-out circles requires the patient to now perform motor and sensory fusion during the task. 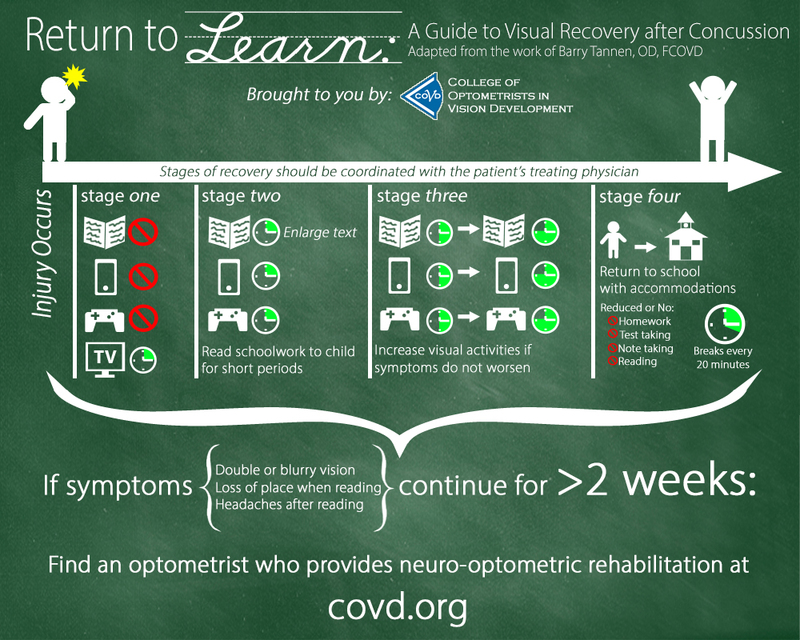 We hope that you find this a useful tool for binocular vision assessment and training! As always, we appreciate your feedback and suggestions.